Let’s talk about Android battery life and the reasons why most of us struggle to get even a day’s worth out of it. Find a solution to the battery crisis, look into some of the best battery saver apps and tips we have to offer. We’ve come a long way since the old days when calling seemed like the epitome of human communication and 8-bit games blew you away. Today we carry nothing short of powerful computers in our back pocket, which are capable of doing a whole lot more than whatever seemed imaginable. However, not everything back then was mediocre compared to the today’s smartphones. 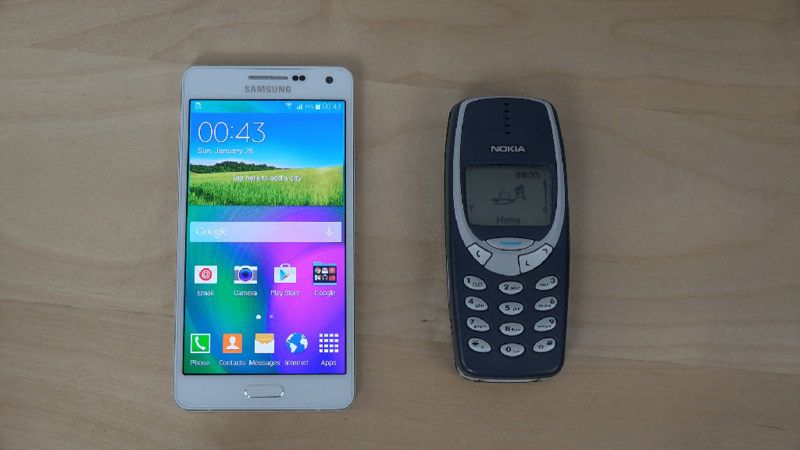 For instance, you could easily get a week’s worth of run-time out of your trusty old Nokia 3310, whereas, the Galaxy S8 today won’t even last you a couple of days under regular use. While getting your hands on one of the best battery packs is a viable solution to the battery life crisis, there’s a lot more you can do to get more juice per charge. Fortunately, there are plenty of battery saver tips that you can put into practice for squeezing out more screen=on time from your Android device. 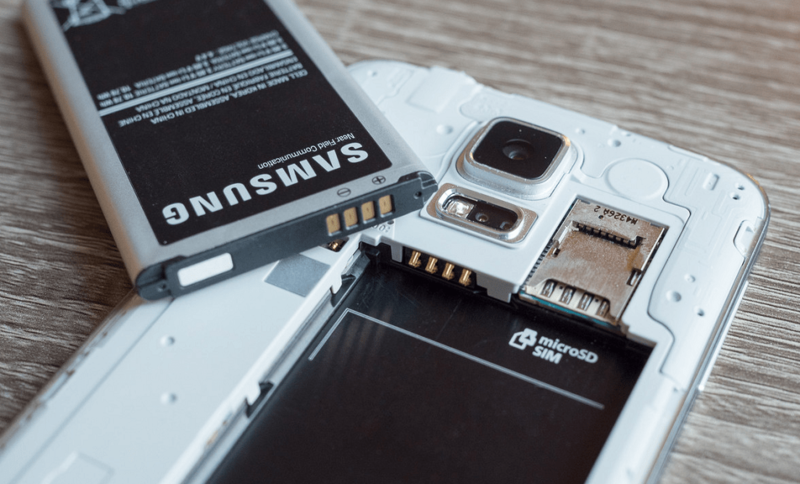 Despite the fact that almost everything about mobile phones has evolved since the early days, battery technology has essentially remained the same. Android devices to this day are powered by the two different types of lithium batteries (lithium-ion and lithium polymer), and this particular type of battery does not suffer from “memory effect”. Meaning that your Android battery can be charged from any battery capacity level, and can be used even if not 100% percent charged. Some experts suggest that maintaining a charging cycle between 20% to 90% is ideal for battery life, but the hard fact is that with time, your Android battery life is destined to plummet. While there has been development in solving this grave issue of measly battery life, with technology like Qualcomm Quick Charge and others such as OnePlus Dash Charge to make the battery charging times shorter, we are nowhere close to having a smartphone with battery saver capabilities that could last days on a single charge. While it’s a matter of pride to know that your Android device packs more features that you probably have a use for, it is also a factor that impacts the device’s battery life. By considering how efficiently you use your device, disabling features that you have no use for, and putting Android’s own battery saving features to good use, you can get hours of added screen-on time without sacrificing anything. Most of us already love the Android dark theme, so what other reason would you need to slap on a dark wallpaper? Battery saving is one aspect of a dark theme and wallpaper that most don’t even consider, but it does make your device power-efficient since most of your device battery is sucked out by the display. On almost all latest Android devices like the OnePlus 3T and every popular Samsung Galaxy device, you can find an AMOLED display. Compared to old LCD displays, the AMOLED lights up the pixels individually instead over backlighting the entire screen. Admittedly, this method will work most efficiently on devices with an AMOLED display, it will also put less strain on your phone with an LCD display. 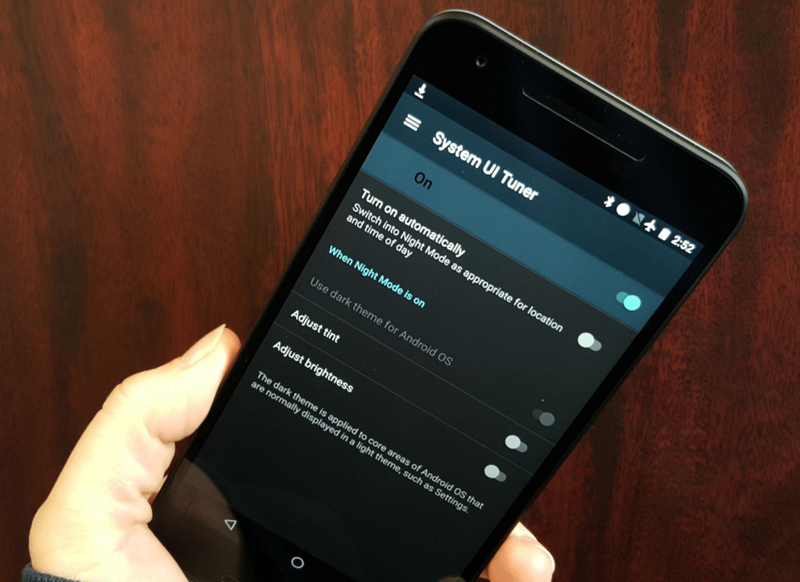 It might sound a bit absurd that turning on the auto-brightness on your Android could be affecting your battery life since it is one of the features created to balance your display brightness of battery efficiency. 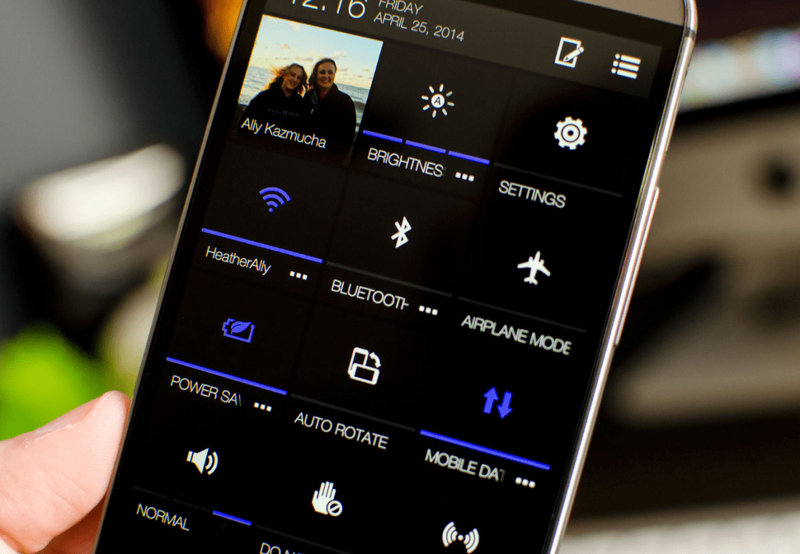 However, but having auto brightness turned on, you are not only putting the brightness sensor to work full-time, but the adaptive brightness may not always be accurate either. 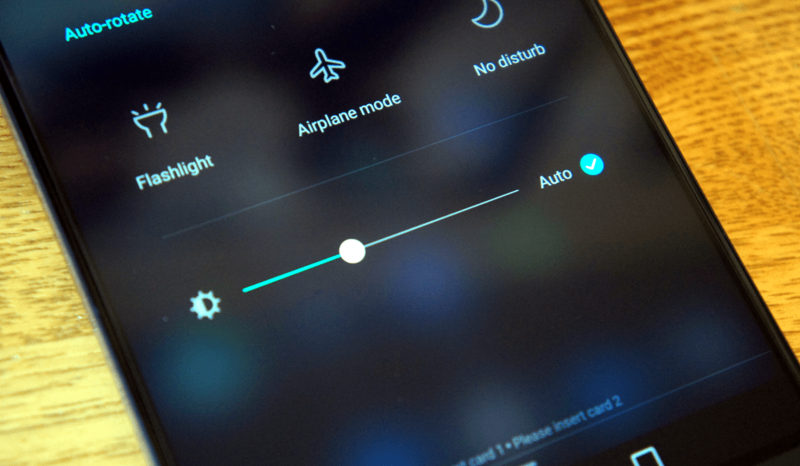 Simply go ahead and turn off the auto brightness option from the Quick Settings panel, and use the display brightness to around 50% brightness during daytime for optimal battery performance. Apart from the display brightness, heading over to the Display Settings and tinkering with the screen sleep time can also help you reduce the unnecessary screen-on time, which directly affects the battery performance. Even with a moderately bright display and device usage, you can experience a shorter battery cycle on your Android due to one or more culprits. If you feel like your Android device is depleting faster than usual, head over to the Battery menu in the Settings and look at the apps and services that are sucking out the battery life. If you see a particular app taking up way too much power than it usually would, it could be an outdated version or just an installation glitch. For instance, the Google Play Services has been known to be an unnecessary power-grabber when it becomes outdated, so make sure you always keep your apps updated. Moreover, if there is a third-party or built-in app from your device manufacturer that also seems to draw in a considerable amount of power, tap on the icon and be sure to “Disable” or “Uninstall” it from your Android device. Just as you would turn the lights off when you leave the room, you don’t really need all of your device features turned on when not in use. While having the Wi-Fi or mobile data turned on during the day is inescapable, you don’t really need to keep the Bluetooth settings turned on when not in use, especially if you’re already draining the battery with the best Android HD games. As awesome as NFC can be, you don’t really need it to be turned on, especially when you don’t even use it every day. GPS is another major power draining feature, so unless you are on a road trip where you need a GPS turned to “High accuracy”, consider keeping it on a battery-saving mode, and there are apps that can help you automatically toggle connectivity features. Google has been working towards making Android OS as battery efficient as possible, and the Doze mode is a big part of it. What the Doze mode essentially does is recognize when the device hasn’t been used for a while (during night time), and reduce the app battery usage severely to conserve as much power as possible. From the Battery menu in the Settings app, you can press the three-dot menu and access the “Battery optimization” menu where all the installed apps are listed. Make sure that all of them (especially the power-hungry ones) are “optimizing battery use” so that you get the most out of each charge. Furthermore, some device manufacturers like Samsung, HTC, OnePlus and many others pack an additional feature to optimize battery usage, or Stamina mode (Sony). 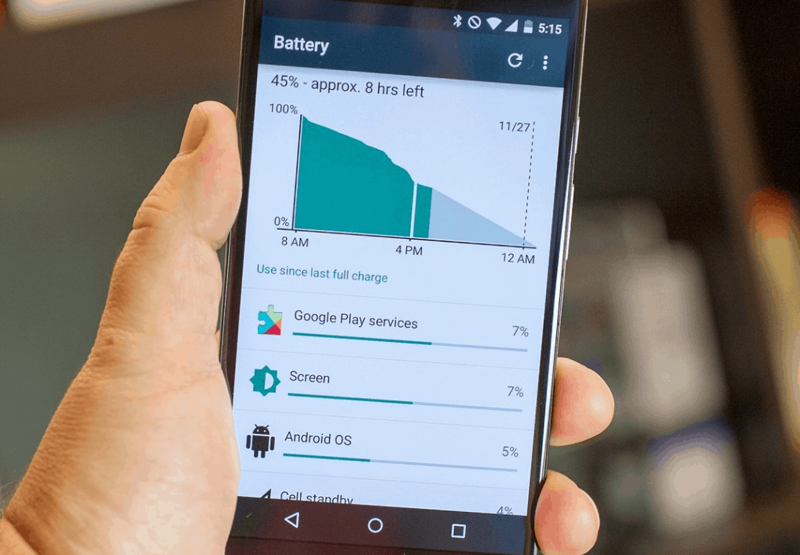 By turning on this battery optimization feature, you can ensure that the battery of your Android device lasts longer when it reaches a low battery percentage (around 15-20%). In order to make their Android devices more appealing, manufacturers tend to give out extra features like the Moves gesture on Google Pixel. While these are pretty handy, they inadvertently become a battery-draining liability. While fingerprint gestures are too awesome to live without, turning off the gimmicky ones like gesture wake up and double tap to wake are the ones you can live without. 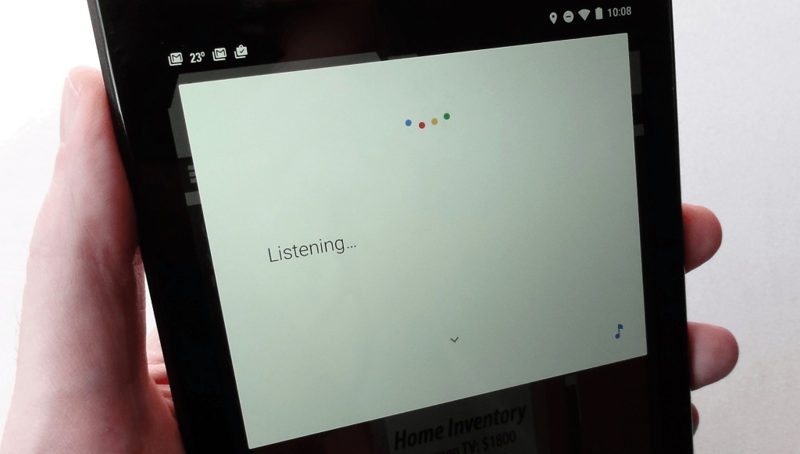 Similarly, the “OK Google” command is really cool to work with, especially because the Google Search service allows you to do so even when the screen turned off. However, this works against your battery life, since the device’s microphone is constantly active to listen in to the hot word. From the Voice menu in the Google Settings, you can choose to turn off OK Google detection “From any screen” and save some much-needed battery drain. 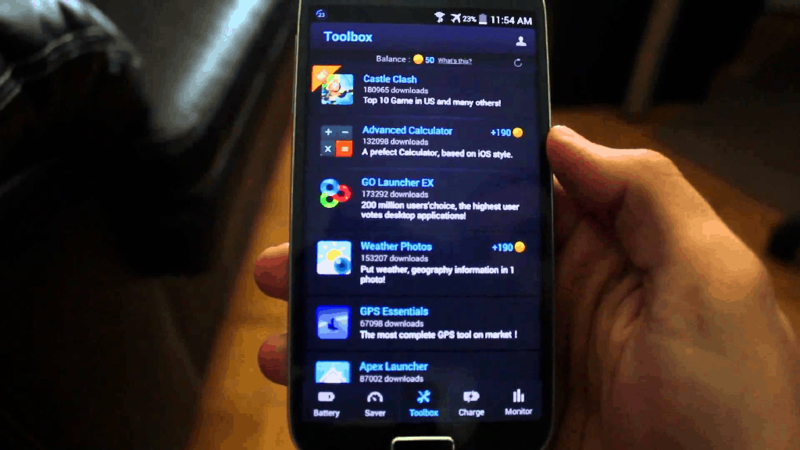 When comparing an iPhone to an Android device, one of the winning points for Android for a long time has been the widgets. While having the widget of apps to stay up to date may a bare essential for you, do you need a home screen cluttered with Twitter, Gmail, and weather widgets? Every widget you put on your Android home screen not only takes up processing power to stay updated but also requires a constant network connection, which takes a toll on your battery performance. By doing away with all the widgets that you don’t necessarily use regularly, you can not only make your Android run faster but give your more screen-on time as well. Now that we have covered the most of the efficient manual ways of saving the battery of your Android device, it’s time to bring some automation into play. Theoretically speaking, there is no such thing as a battery saver app, since all these apps actually do is manage your apps and processes better, which in turn makes the battery performance of your Android more efficient. While the majority of you may have to stick to other methods for saving battery life, users with rooted devices have the option to install the Amplify Battery Extender app. With superuser rights, Amplify comes with a gorgeous material design UI to help you control the background actions of apps, stop wake locks (apps that drain the battery by waking the device repeatedly). 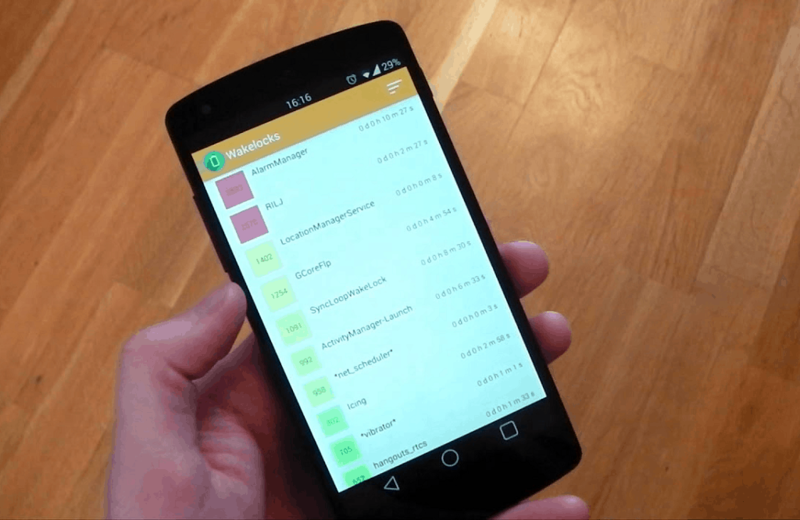 The free version of the Amplify app gives you plenty of features, but it is the Pro version (unlocked after in-app purchase) that gives you control over the most troublesome battery hogging elements of Android. However, you will also need to install the Xposed Framework on your rooted device for it to work, so proceed with caution and Android security in mind. 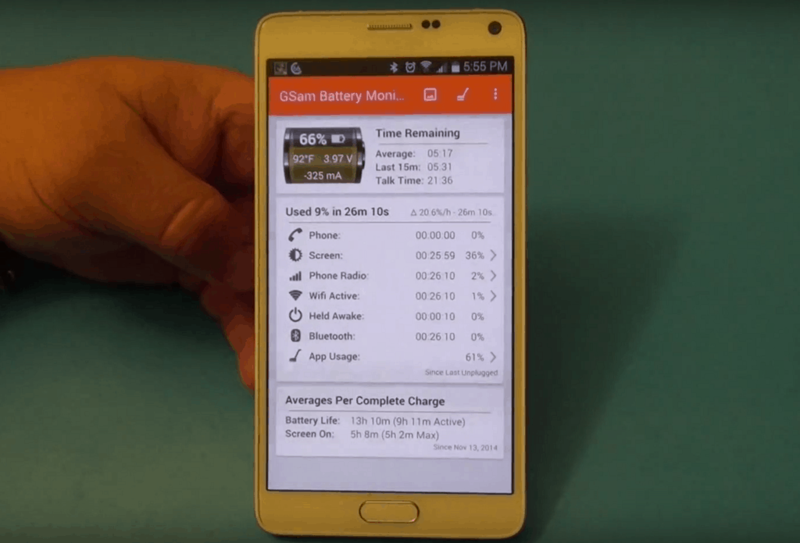 If you are looking for a deeper look into how your Android device power performance works, GSam Battery Monitor is the tool to try out. Giving you technical insights on the battery capacity, battery health, temperature and charging/discharge rate, GSam gives you an insight on the device battery in the most detailed way possible. Apart from the usual stats and charts to show battery performance and usage, GSam comes with an amazing feature called App Sucker, which highlights the most power-hogging apps and services, along with the related wake locks, wake time, CPU and sensor usage to help you map out where your juice is being spilled. A fine example of one of the best battery saver app that is actually a silent task manager, DU Battery Saver probably has more users than the other two apps listed before it combined. With a simple and elegant user interface, you get multiple device optimization features, charging monitor and a basic wake detection. However, since the DU Battery Saver app does not offer root support, there is only so many wake locks that can be detected by the app in the first place. While the app does show a fair amount of battery saving capability, the fact that there are plenty of ads to make up for the free price might not excite all of you. While it is unusual for new Android devices to last you less than a day on a full charge, it wouldn’t be unrealistic to consider that something may be physically wrong with your Android’s battery if it’s a few years old. 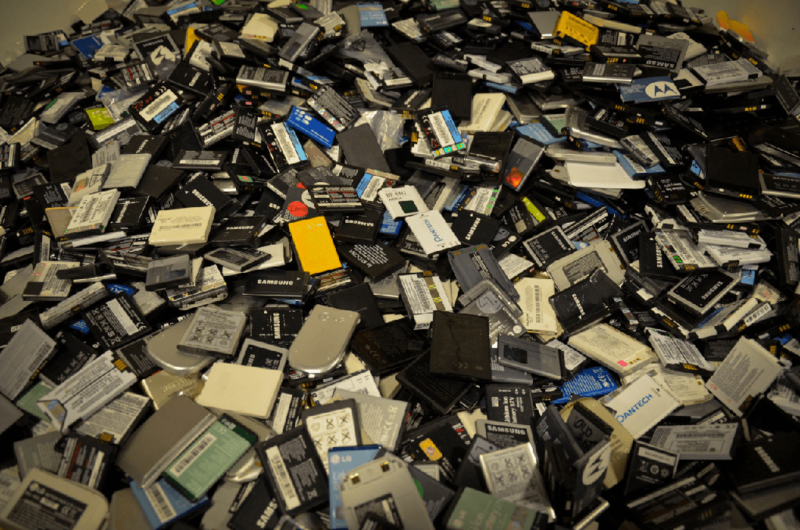 Despite their long-lasting charging cycle, lithium-ion batteries do not last forever and may tend to drop in performance over the course of a few years. If you have been experiencing increasingly poor battery life and none of the battery saver tips and apps are helping, it might be time to replace the battery. There are some telltale signs which can indicate that a battery has reached its end (puffed up casing or inability to charge to 100% percent. However, since most Android devices today come with the battery enclosed inside the chassis, getting your battery replaced by a professional or taking it to the service center might be the only option. However, if you are lucky enough to own an Android device that comes with a removable back like the LG V20, you can swap the battery out yourself. Have you been battling with a poor Android battery life as well? If you know a battery saver app or a helpful tip that we might have missed out on, do share it in the comments below or start a conversation on the Updato Forum right now.